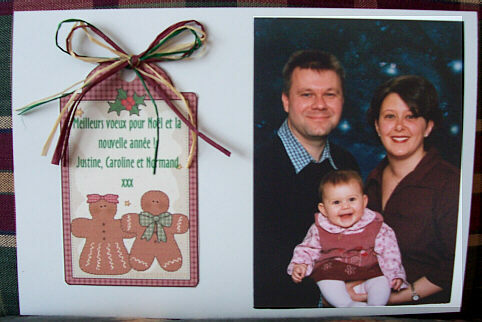 Here is a nice Christmas card by Caroline Malouin in Quebec, Canada. She has printed a free tag from GraphicGarden.com and attached to it. Missy Earl, USA, has created this Victorian Scrap Ornament for someone who is going to become a Grandmother for the first time. 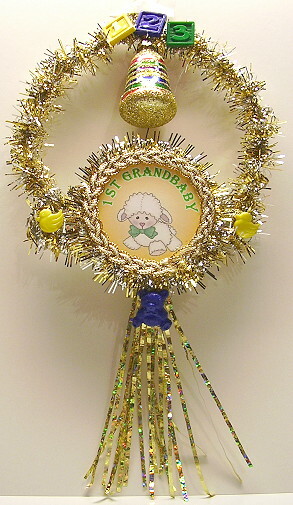 The lamb graphic is from 'Craft Clipart 10: Babies'.